1:144th scale. IP. Poseable model kit of the AMX-101 Galluss. No.2 in the ZZ Gundam series. 1:144th scale. IP. Poseable model kit of the AMX-102 ZSSA. 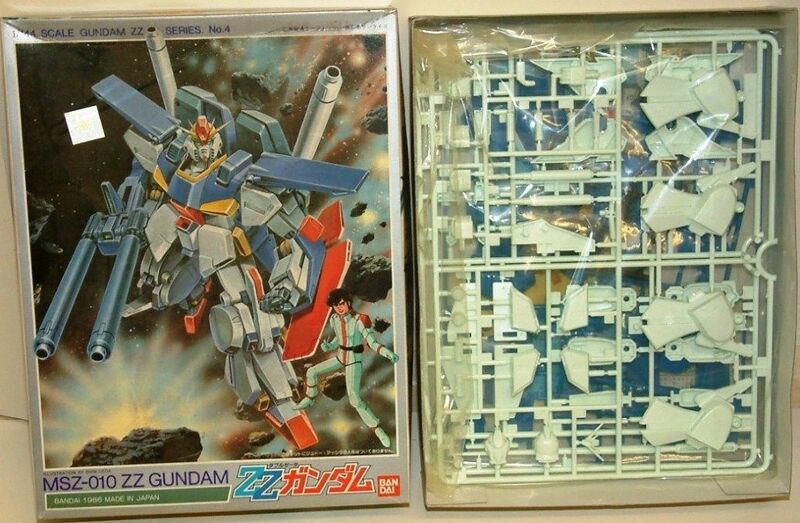 Kit No.3 in the Bandai Gundam ZZ series. 1:144th scale. IP. Poseable model kit of the AMX-008 GA-Zowmn. No.8 in the ZZ Gundam series. 1:144th scale. IP. 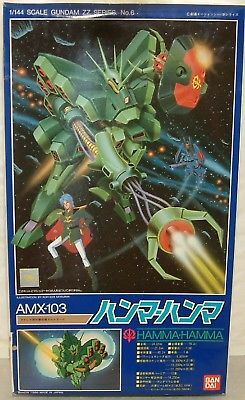 Poseable model kit of the AMX-006 Gaza D. No.1 in the Gundam ZZ series. 1:144th scale. IP. Poseable model kit of the AMX-014 Doven Wolf. No.17 in the ZZ Gundam series. 1:144th scale. IP.Poseable model kit of the MSZ-010 ZZ Gundam. No.4 in the ZZ Gundam series. 1:144th scale. IP. Poseable kit of the AMX-103 Hamma-Hamma. No.6 in the ZZ Gundam series. 1:144th scale. IP. Poseable model kit of the AMX-104 R-JARJA. Kit No.5 in the Gundam ZZ series.